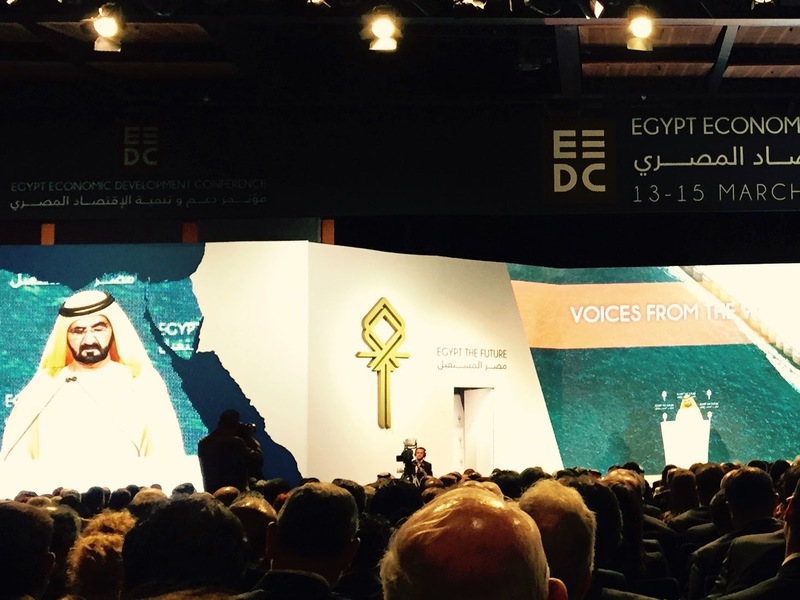 The Antiquities Coalition (AC) was honored to be invited to attend the Egypt Economic Development Conference titled “Egypt the Future” in Sharm el Sheikh on 13-15 March 2015. Hosted by President Abdel Fattah El Sisi, the conference outlined Egypt’s vision for opening up and reform of its economy. President Sisi and his Cabinet used this opportunity to explain to global leaders and businesses from around the world their plans for “Egypt’s future.” These reforms including a $40 billion development of a new Suez Canal and the surrounding area, a $45 billion new capital for Egypt, and further opportunities in tourism, agriculture, infrastructure and high technology. Of particular interest to the Antiquities Coalition are the plans for development of cultural tourism. The AC has proposed to Egypt’s Prime Minister ways that it can build up the tourism infrastructure around heritage sites, while further promoting their development, and has also provided suggestions on how to further attract Asian tourists. Planned development of the archaeological sites, if done correctly, will result in further protecting them from antiquities looting. As the Egyptian government has reported, the conference was attended by kings, presidents, heads of state, ministers, and representatives from 88 countries, and 23 international organizations, and key individuals such as the US Secretary of State, the Managing Director of the IMF, and the Managing Director of the World Bank. A large number of global firms from the United States, Middle East and Asia were also present. The event was a great success. Egypt signed deals worth a total of $38.2 billion and received commitments for potential deals worth $92 billion. On top of these pledges, leaders from the Gulf States pledged $12.5 billion in contribution. These commitments are a positive sign of support for President Sisi and his proposed economic reforms. As a result, Egypt plans to make this conference an annual conference an annual event. We hope that the AC can support the Egyptian government in its efforts to reform during this important time.